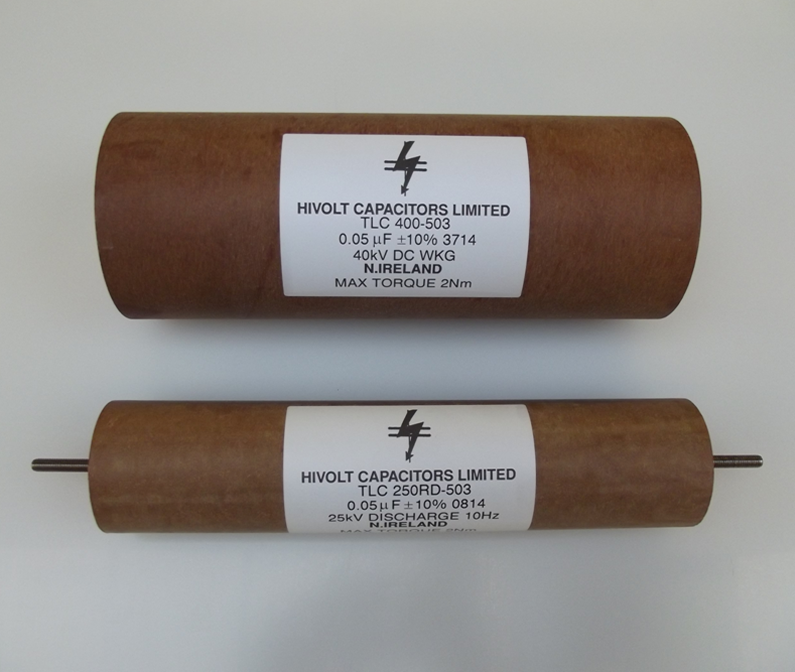 All capacitors utilise a Polyester or Polypropylene film, paper and aluminium foil wound dielectric construction. The impregnent used is a non-toxic highly refined mineral oil. 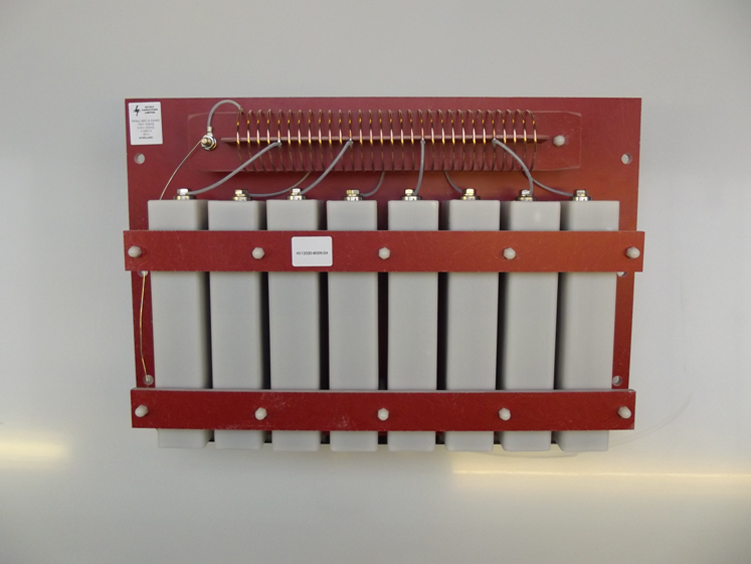 The PMR range are in the form of a rolled-seam tinplate can that is hermetically sealed. External connections are via ceramic bushings with threaded studs or solder tags. 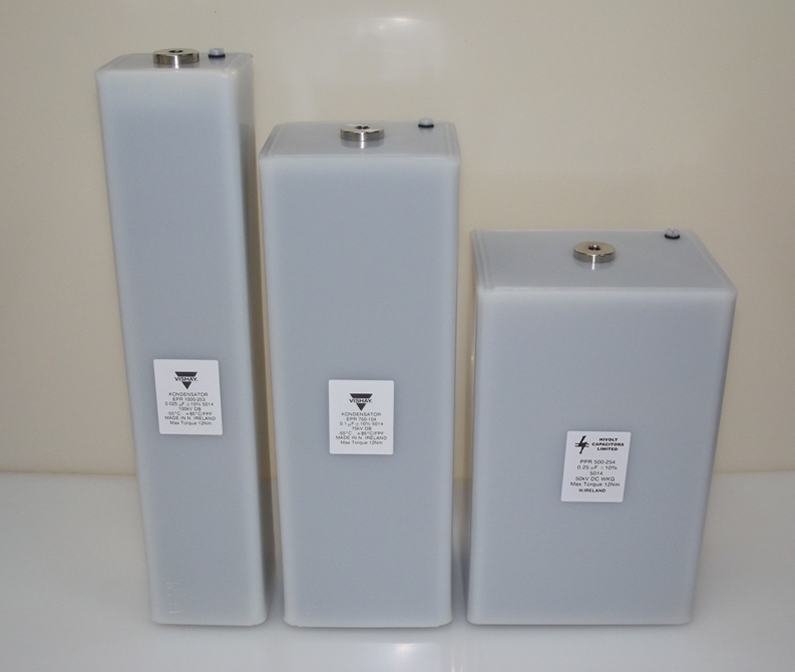 The PPR range are in the form of a hermetically sealed rectangular Polypropylene case. Standard terminations are M10 threaded inserts. 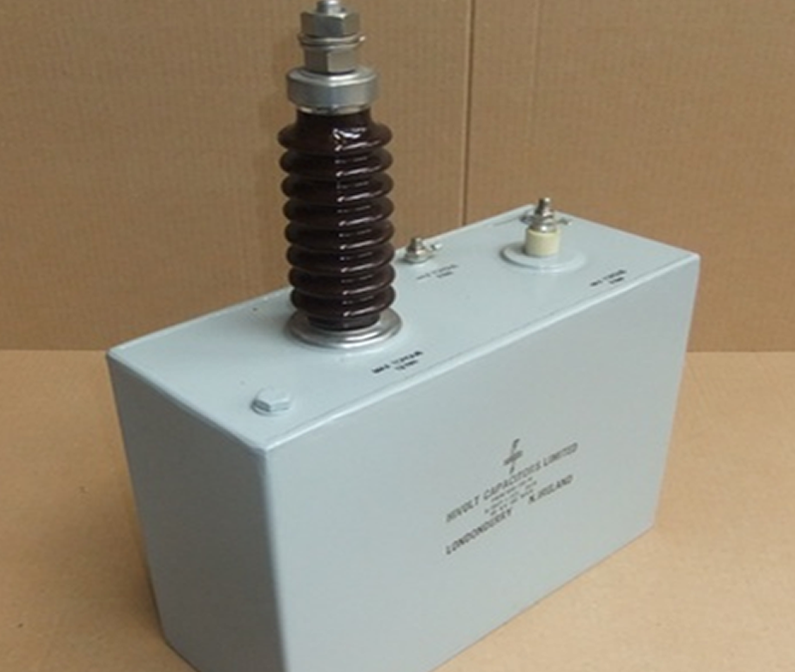 The PMW range are in the form of a welded heavy gauge mild steel can that is hermetically sealed. External connections are via ceramic bushings. The range may be supplied with fixing brackets, handles or lugs for lifting. 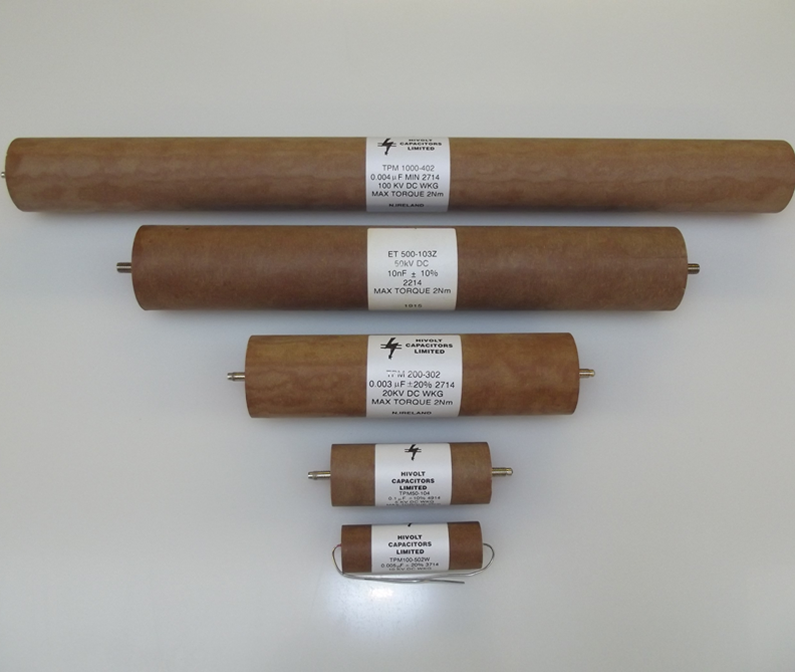 The TPM range are in the form of a Synthetic Resin Bonded Paper tube hermetically sealed at both ends with resin . Axial terminations are via M5 x 12mm studs or tinned copper wire. 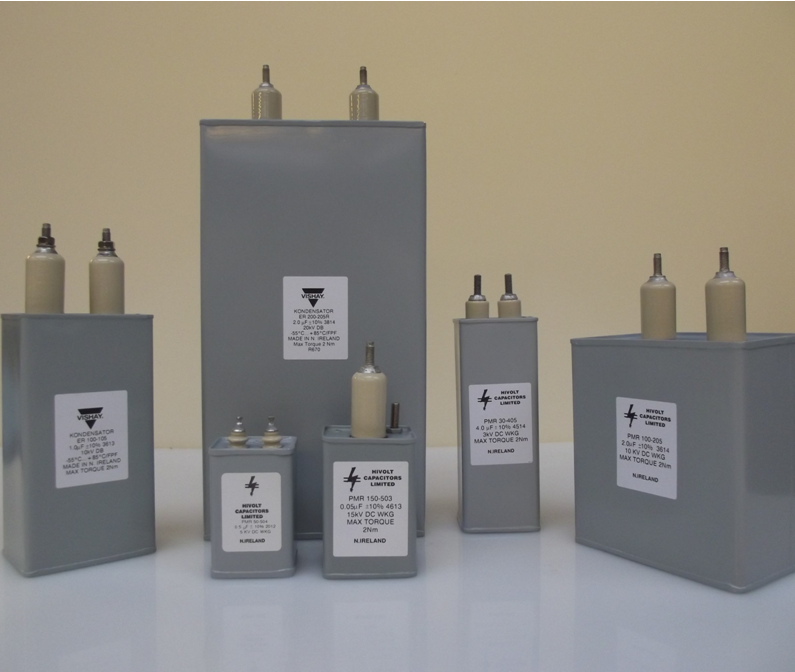 The TLC range of capacitors are similar in design to the TPM range but are housed in a more robust container with M6 x 15 axial stud terminals as standard. Pulse forming networks are designed for use in circuits which convert direct or alternating current to uni-directional square wave pulses of high energy for a short duration.